Candidates backed by soon to be former New York City Mayor Michael Bloomberg were rejected by voters across the country on Tuesday. 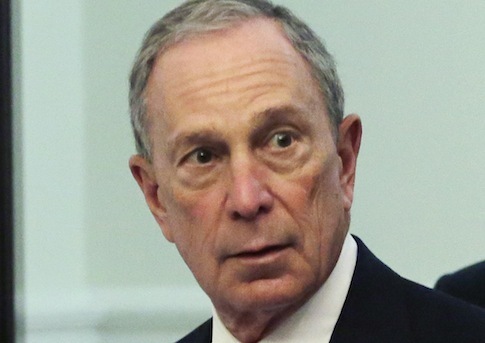 Members of Bloomberg’s Mayors Against Illegal Guns coalition were defeated by conservative challengers in multiple instances, according to America Rising. Mayor Jackie Holcombe was defeated in a North Carolina election after she attempted to get local stores to stop selling semi-automatic rifles. Gow Fields, another member of Bloomberg's coalition, fell to a challenger in Lakeland, FL. Mayor John Callahan, of Bethlehem, PA, was also dealt defeat, in what local papers are calling a "stunning upset." Bloomberg’s injection of money into Virginia’s election were also ineffective, with speculation that Bloomberg’s gun ads actually hurt Democratic candidates in the state. Bloomberg also backed Virginia house of delegates challenger Kathleen Murphy in Northern Virginia. Murphy lost the election. This entry was posted in Politics and tagged Guns, Michael Bloomberg. Bookmark the permalink.